I had a wonderful Sunday on the Gulf in St. Pete marrying Ralph and Linda, a sweet couple. They wrote their own ceremony ( I added a few things as the minister) then we drummed and the dolphins CAME around the boat! They stayed for a long time, I even heard them singing as we gently drummed. This was a major event for all of us. Thank-you for asking me to be the drumming minister at your wedding Ralph and Linda! 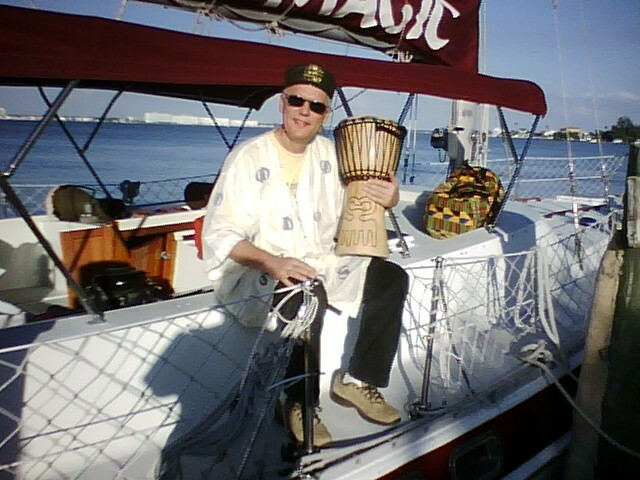 This entry was posted in Dolphin Sailboat Full Moon Drumming, Drum Prayers, DRUMMING ADVENTURES, Environmental, healing drums, Uncategorized. Bookmark the permalink.